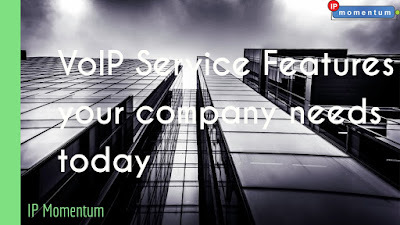 VoIP, as you already know, has been in the mainstream competition with landline services for a long time now. Fortunately, landlines have almost died out. VoIP is getting better, much much better and has contributed greatly to not just the corporate sectors but, to personal lives of people too. Efficiency, affordability and networking- that’s what VoIP is all about. Faxing still hasn’t died out and won’t. With fax communication over IP, it’s still done across industries, markets and companies. Moreover, digital faxing is also possible, eradicating the need of a landline phone as well as a physical fax machine. Due to security issues, a lot of companies did not allow phones in the workplace. Which is why, security systems were integrated with analog phones, making security very difficult. With the introduction of VoIP services, security systems have eased out exceptionally, giving room for not just verification but, communication amongst employees, free of cost. Keep track of who does what- who calls when and more. VoIP services have an exceptional feature called call analytics wherein, the company can have access to an analysis of the number of calls made, the details and more. The good part- nobody can manipulate with phone calls or be dishonest at any point. Also, if you lose out on numbers, all you need to do is, go back to the record and verify it! This feature is needed for all kinds of business, call centres and more to ensure good customer services, quality of calls and much more! Not applicable for all VoIP providers however, can be made possible with the simple availability of a web camera. Video conferencing helps the company get in touch with prospects, business partners, employees and others across locations in no time, at the most affordable rates. With the music on hold feature, not just call centers but, juniors at work can put the call of others on hold in order to ensure they send across the right message to the right individual. Music on hold not just keeps the customers in the loop but, buys you sometime to get the answer you need from your colleagues and excel in customer services! As VoIP technology gets more mature, the feature list is only going to keep exceling. As it is, the gap between POTS and VoIP is already very wide but with time, there are fewer reasons to keep landline phones around. So, say goodbye to landlines and hello to affordable VoIP solutions today!